Medellín ([meðeˈʝin]), officially the Municipality of Medellín (Spanish: Municipio de Medellín), is the second-largest city in Colombia and the capital of the department of Antioquia. It is located in the Aburrá Valley, a central region of the Andes Mountains in South America. According to the National Administrative Department of Statistics, the city has an estimated population of 2.44 million as of 2014. 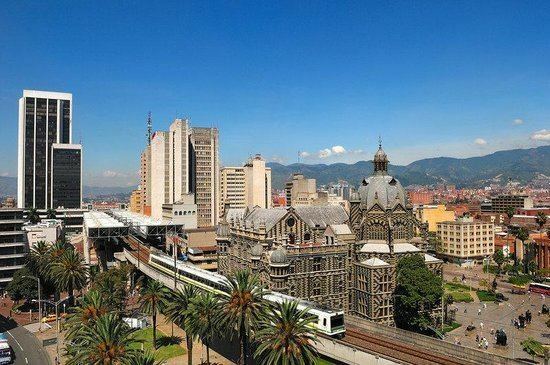 With its surrounding area that includes nine other cities, the metropolitan area of Medellín is the second-largest urban agglomeration in Colombia in terms of population and economy, with more than 3.7 million people. The weather in Medellín is warm. As a municipality, Medellín has an area of 382 km2 (147 sq mi). It has 16 comunas (districts), 5 corregimientos (townships), and 271 barrios. The metropolitan area of Medellín lies within the Aburrá valley at an elevation of 1,500 metres (4,900 feet) above sea level and is bisected by the Medellín River (also called Porce), which flows northward. North of the valley are the towns of Bello, Copacabana, Girardota and Barbosa. To the south of the valley lie Itagüí, Envigado, Sabaneta, La Estrella and Caldas. Medellín features a tropical rainforest climate (Af), albeit a noticeably cooler version of this climate that borders closely on a subtropical highland climate (Cfb) and also on a tropical monsoon climate (Am). Because Medellín is located at 1,500 m (4,900 ft) above sea level, its climate is not as hot as other cities located at the same latitude near the equator. Because of its altitude above sea level and privileged location in the Andes Range, Medellín's weather at times is more characteristic of a humid subtropical climate than that of a tropical climate. The city's average annual temperature is 22 °C (72 °F), and because of its proximity to the equator, its temperature is constant year round, with minimal temperature variations. Temperatures range from 15 to 30 °C (59 to 86 °F). Because of the pleasant springlike climate all year, Medellín is known as "La Ciudad de la Eterna Primavera" or "City of the Eternal Spring". However, as the city is located in a valley and many of its districts are on slopes, temperatures can be slightly cooler on the surrounding mountains. Medellín is a city governed by a republican democratic system as stated in the Colombian Constitution of 1991, with decentralized government. Administration is shared by the Mayor of Medellín and the Municipal Council, both elected by popular vote. The municipality is made up of official departments (secretarías) including departments for social mobility, urban culture, social development, education, evaluation and control, government, resources, public works, administrative services, environment, women, and transportation. There are also many departments with a certain autonomy: the Olaya Herrera Airport, the Public Library (Biblioteca Pública Piloto), the College of Antioquia (Colegio Mayor), the Urban Development Enterprise (EDU), the Public Service Enterprise (EEPPM), the Sport and Recreation Institute (INDER), the General Enterprises of Medellín (EEVVM), the Medellín Bus stations, the General Hospital of Medellín, the health service enterprise "Metrosalud", the Metropolitan Institute of Technology (ITM), the Metro de Medellín, the Department for the Administration of the Medellín parks (Metroparques) and Metroseguridad. Also, as part of Cultura E, there is Banco de las Opportunidades that provides microloans (up to $2,500 at a cheap interest rates 0.91% monthly). This has helped create more equal opportunities for all and overcome the barriers to entry to business for poor entrepreneurs with good ideas, but lacking capital, skills and connections. It has also helped develop the local economy with new micro-enterprises. However, several mayoral candidates for the October 2011 elections have argued the Banco de las Opportunidades's interest rates are too high, loan maturity is too short and it should have grace periods. They therefore suggest a new small and medium-sized enterprise (SME) development bank to complement the Banco de las Opportunidades. There were 33% more murders in 2008 than 2007, with an increase from 654 to 871 violent deaths. This increased further by over 200% in 2009 to 2,899 violent deaths, or about 110 deaths per 100,000 people, 2.5 times the average homicide rate in Colombia and 20 times the average homicide rate in the United States for that same year. An average of 9 people were killed every day in 2009. There is a significant disparity in crime rates by neighborhoods, with virtually no homicides in El Poblado to areas with open gunfights in the outskirts. Generally, crime rates increase the further the neighborhood is from the center. From 2010 and 2011, homicides have declined as with crime in general, but there remains a high crime rate in the poorest communities. Recently, a turf war has broken out between The Office of Envigado and Los Urabeños cartels. Medellín is one of Colombia's economic centers. Its economy is led by a powerful group of people from the private sector known as the Grupo Empresarial Antioqueño (Antioquian Enterprises Group). The group was formerly known as the Sindicato Antioqueño (Antioquian Union) but after being mistaken abroad for a labor union, which hampered its international growth for many years, a new formal name was chosen. It is represented by David Bojanini, head of Grupo Suramericana, a, Banking, Asset Management and Insurance conglomerate); Carlos Ignacio Gallego of Grupo Nutresa (food industry); José Alberto Velez of Cementos Argos (a multinational cement company); and Carlos Raúl Yepes, head of Bancolombia. This group has an aggregate market capitalization of approximately US $17 billion and employs more than 80,000 Colombians. Aerolínea de Antioquia has its headquarters on the grounds of Enrique Olaya Herrera Airport in Medellín. West Caribbean Airways had its headquarters on the grounds of Olaya Herrera Airport. ACES Colombia was headquartered in the city. VivaColombia, the only low-cost Colombian airline, has its hub at Rionegro's Airport. Fresita is an ice cream and paleta (popsicle) maker in the city. The Metropolitan Area of Medellín contributes 67% of the total GDP of the Department of Antioquia and 11% of the economy of Colombia. Antioquia is the second greatest economic region of Colombia. By 2005, Antioquia's GDP was more than US$14,700,000,000 and the top exporting province in Colombia. The Aburrá Valley is the top economy in the province and its GDP was $7,800 million. Medellín is the second largest economic region in Colombia after Bogotá. According to data released by the Measuring Monetary Poverty and Inequality Mission (Spanish: Misión para el Empalme de las Series de Empleo, Pobreza y Desigualdad, MESEP), in November 2009, the poverty rate in Medellín and its metropolitan area was reduced by 22.5%, from 49.7% to 38.5% during the period from 2002 to 2008. Similarly, the poverty rate decreased by 25.2%, from 12.3% to 9.2%. These results are in line with the increased coverage of basic services such as health, education, and public services in the city. In 2014, the poverty rate decreased to 14.7% and extreme poverty to 2.8%. There are signs of heavy urban development within the city of Medellín, particularly with the construction of new skyscrapers. Medellín is currently outpacing all other major Colombian cities, including Bogotá, in the construction and proposed development of new high-rises. As of October 2016, there were 10 skyscrapers, 410 high-rises, 119 buildings under construction in Medellín, including 48 being planned. Other projects that the city has planned are extensions of the cities metro system to nearby suburbs such as Sabaneta. Currently in construction the new project is set to open to the public soon. The initial plan in 2009 built five libraries with attached parks to serve underprivileged neighborhoods. The most famous of this development was possibly the Biblioteca Parque España designed by Giancarlo Mazzanti,. and which was named after Spain, who helped fund the construction of one of its buildings. Architects of the other libraries added as part of the program include Ricardo La Rotta Caballero and Hiroshi Naito. 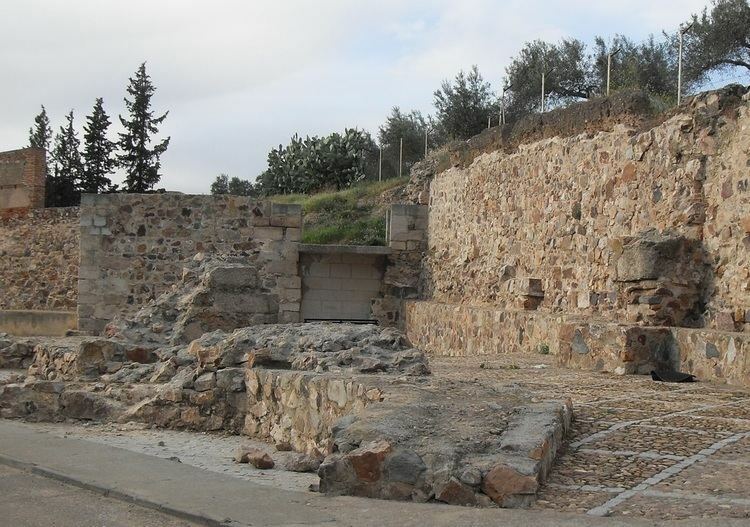 The four other libraries added were León de Greiff Library (also known as La Ladera Library Park), San Javier Library Park, Bethlehem Library Park, and La Quintana Library Park. The architecture produced in Colombia between 1850 and 1930 is called "Republican". The use of brick and implementation of European historical styles were the main novelty. Enrique Haeusler designed the Guayaquil Bridge in 1879. 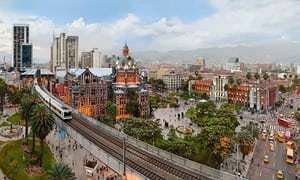 But it was the French architect Carlos Carré who headlined Republican nineteenth century architecture in Medellín. Carré came to town in 1889 and was hired to design and build the new Episcopal Cathedral and several commercial and residential buildings for different parts of the city, especially in the new neighborhood of Guayaquil. The Metropolitan Cathedral was completed in 1931; also are of authorship Vásquez and Carré buildings, which are located next to Plaza Cisneros. The Medellín Antioquia Railway Station was the work of Enrique Olarte, a work that allowed the definitive urban consolidation in Guayaquil sector. In the twenties Republican architecture reached its peak phase. In this period stand the old Municipal Palace (now the Museum of Antioquia) in 1928, the National Palace and the Palace of Departmental Government (now the Palace of Culture) between 1925 and 1928. The latter two works were designed by the Belgian architect Agustín Goovaerts, both inspired by the Belgian modernist, it applied the Romanesque and Gothic styles respectively. Other works of Goovaerts were the Church of the Sacred Heart (sector Guayaquil), the Church of San Ignacio, among others. The thirties highlighted some constructions of Prado neighborhood as the Egyptian house and the current Teatro Prado. Medellín has one domestic airport, Olaya Herrera Airport (EOH), and one domestic and international airport, José María Córdova Airport, which is located in the city of Rionegro, 29 kilometres (18 miles) east of the city of Medellín. In 2012 the busiest domestic flight route was between Jose Maria Cordova Airport and Bogotá while the busiest international route was between Jose Maria Cordova Airport and Panama City. The Jose Maria Cordova Airport receives international flights from important carriers such as American Airlines, Copa Airlines, JetBlue and Lan Airlines, which makes the city accessible from the many regions of America. Avianca, the flag air-carrier of Colombia, has also an important activity at this airport. In 2006, construction began on Metroplús, a bus rapid transit service with a dedicated road, much like Bogotá's TransMilenio, to allow faster transit for the service's buses. The first line opened two years later than planned in 2011 and a second in 2013. The first leg is the Troncal Medellín, which goes from the Universidad de Medellín in the west to Aranjuez in the northeast part of the city. Metroplus will help lessen the city's pollution and traffic, as many old buses will be taken out of service, while the new buses will work with natural gas . The Colombia and Latin America's largest and most modern tunnel, the Western Tunnel, officially named the Fernando Gomez Martinez Tunnel, is located between Medellín and Santa Fe de Antioquia. It is 4.6 km (3 mi) in length and offers security and service technologies for the users. It was inaugurated in January 20, 2006. Originally, Trams in Medellin was the most important transportation until 1950, but after that rapidly increased population and automobile has forcefully closed it in 1951, however, after almost 60 years, a new Translohr system, the Ayacucho Tram, the first modern "tram" in Colombia, was opened on September 30, 2015. It is integrated with the metro system and the local bus network. The culture in Medellín is strongly linked to a broader Paisa culture (see next section) whose unique attributes famously include their Spanish accent, cuisine, and hospitality. Today, Medellín has several cultural attractions for the public including approximately 40 museums, 21 public parks, 28 theaters, and several public libraries. The city also contains several National Monuments of Colombia. Most people in Medellín are Catholic, as reflected by Medellín's several churches and religious activities. Among the most representative churches are the Metropolitan Cathedral, the largest cathedral in the world built entirely in baked brick. There is also the Basilica of Our Lady of Candelaria, which was the official cathedral until 1931, the Church of la Veracruz, the oldest in Medellín, the Church of San Ignacio, Baroque on the outside and Colonial on inside, the Church of San José, the Church of San Antonio, which has one of the biggest domes in Colombia, and the Church of San José del Poblado, located in the Parque del Poblado where the first European settlement in the Aburrá Valley was founded in 1616. All of these temples have religious art and are located in the center of the city, which facilitates their journeys. The inhabitants of Medellín are often called Antioqueños (people of Antioquia) after their province, rather than Medellínenses (people of Medellín) after their city. They are also often known as Paisas, a name which some suggest comes from the coffee growers. The term Paisa comes from the word paisano, meaning "fellow countryman". Paisas make up one of the five different regional cultures within Colombia. In addition to Antioquia, the Paisa region includes the states of Caldas, Risaralda, Quindio and some towns of Valle del Cauca and Tolima. Although Paisa culture is dominant in Medellín, the so-called "Paisa Capital", the city is becoming more cosmopolitan, now offering music from other regions of Colombia (Vallenato and Chocó), and a variety of restaurants including Chinese, Cuban, and Argentinian. The Paisa culture has a Spanish background, and is traditionally Catholic, entrepreneurial, hard-working, and famously hospitable. Paisas are said to speak softly and quickly, to smile easily, and to love music, poetry, soccer, bargaining in the markets, and parties. They are proud of their city, and work hard to keep it clean, stemming from the campaign begun in the 1980s, "Depende tambien de ti, darle amor a Medellín" (It depends on you too to give love to Medellín). The Medellín weekend nightlife, in discos, pubs, parks, and certain dedicated streets, is traditionally called rumba. International Poetry Festival is an annual congregation of poets, who give at public their poems and readings of a peculiar way mass in parks, auditoriums, neighborhoods and towns near Medellín. This event has been awarded the Right Livelihood Award, the prelude to the Nobel Peace Prize by the Right Livelihood Foundation of Sweden, and its aim is to strive for peace through poethic. The XVII International Poetry Festival of Medellín was performed between July 14 and 22, 2007, with the participation of over 80 poets from around 55 nations. Medellín Book Fair is one of the most important cultural events in Medellín, and is held with the participation of national and international authors and exhibitors from all genres. It is sponsored by the Mayor of Medellín. Feria internacional del caballo Since 2009 was added to the horse paisa culture the Feria internacional del caballo, held in October, an exhibition truly unique and beautiful to watch with the participation of several countries and varied and fine horse races. Museum of Antioquia is the most famous museums in Medellín. It was the second museum founded in Colombia and the first in the department of Antioquia. It is located at the heart of the old city hall next to Botero Plaza. Casa Museo Gardeliana disseminates the culture and history of the tango. 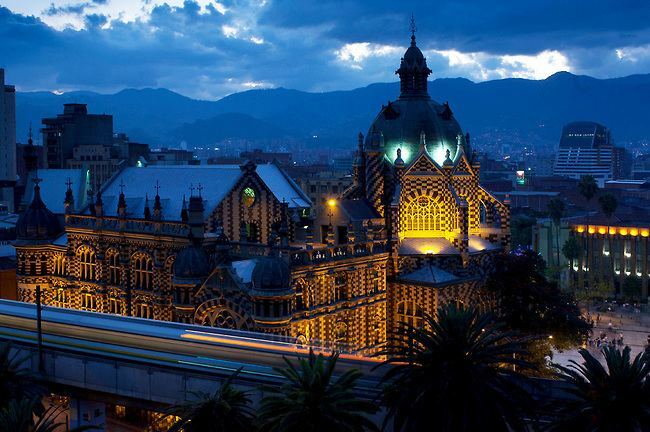 It was declared a Cultural Heritage and Historic Monument by the Council of Medellín in 2002. It was founded on February 14, 1973, by the Argentine Leonardo Nieto Jarbon in the neighborhood Manrique, in a simple, traditional house. The famous tango singer Carlos Gardel met his death in Medellín in accident airplane crash. There has long existed in the city a deep tango culture. Some plaques testify the visit to the house of personalities from politics, entertainment and literature, as the Argentine writer Jorge Luis Borges. Football is the most popular sport and is widely played in the city. Medellín has two professional clubs: Atlético Nacional, founded in 1935, and Independiente Medellín, founded in 1913. Both teams play at the Atanasio Girardot Stadium. The city has a soccer legacy thanks to notable players such as Rene Higuita, Iván Córdoba, Andrés Escobar, and Víctor Aristizábal, among many others. Other notable sportsmen of the city are the professional golfer and PGA Tour player Camilo Villegas and the retired Formula One, Champ Car, and IndyCar driver Roberto Guerrero. Another representative sport in the city is cycling. Its respective sport venue is the Martin Rodriguez Velodrome, named after Colombian road racing cyclist Martín Emilio Rodríguez. BMX is also popular, and its main venue is the BMX Track Antonio Roldán Betancur. The retired cycling three-time Tour de France stage winner and World Time-Trial Champion Santiago Botero Echeverry and the Olympic Gold Medalist and multiple BMX World Champion Mariana Pajón Londoño are both from Medellín.